Thank you in advance for reading and answering future questions. 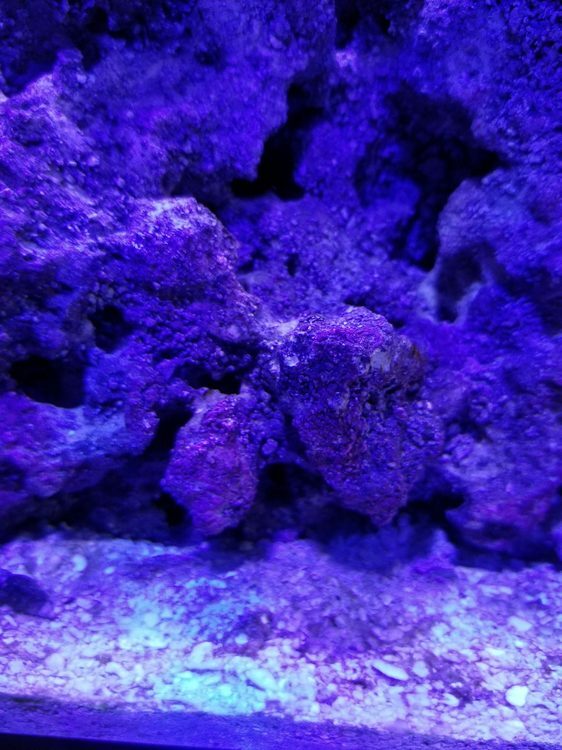 I also want to thank this Forum as for it is the reason I started a reef tank and love the hobby more each day despite some of the small problems I have encountered and learnt from. 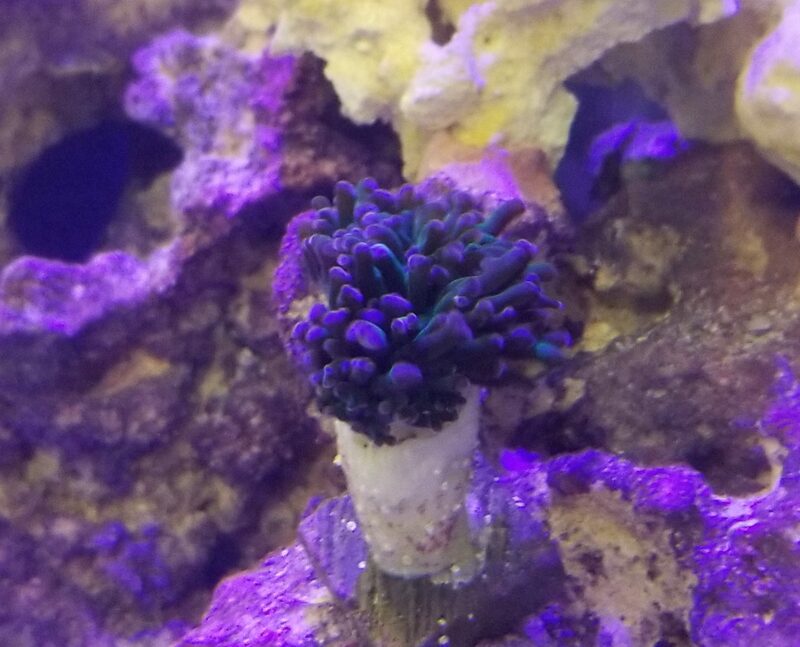 I am 7 months from setup and I will document to the best of my memory from start to today. I believe I am on track and look forward to your suggestions on the tank moving forward. Following! Our tanks are almost twinsies! I am running almost the same equipment but the heater and I have 3 Primes. 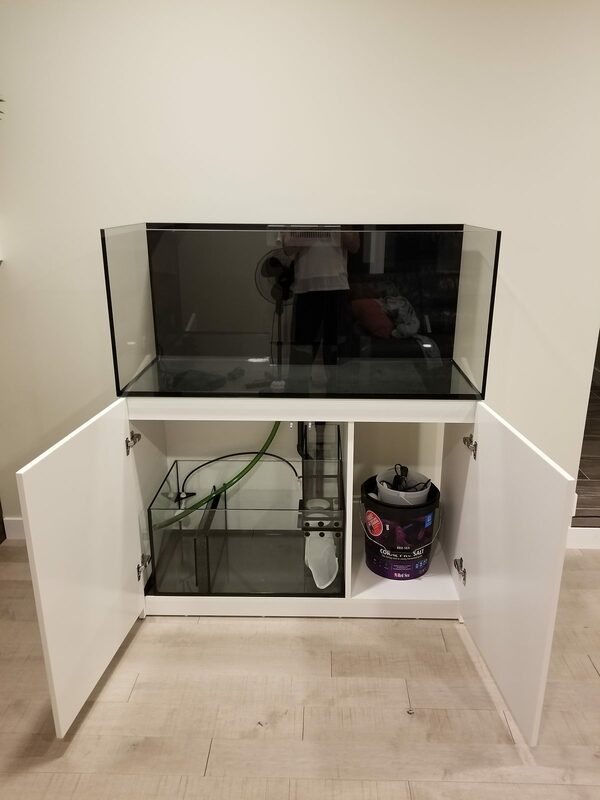 Still debating on what reactor to run, thinking about the standard BRS one. I went with 25lbs of Life rock and 30 lbs of dry rock. 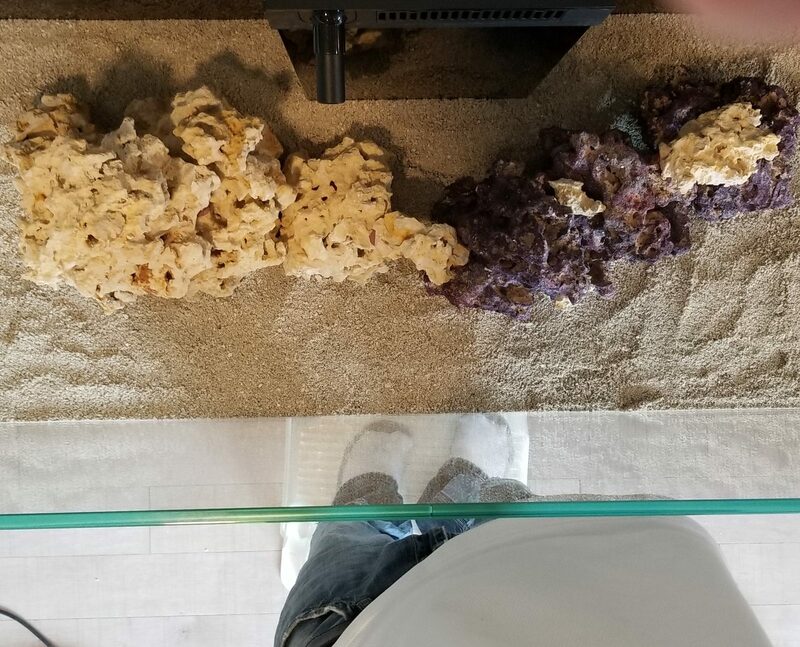 25lbs of caribsea live sand. 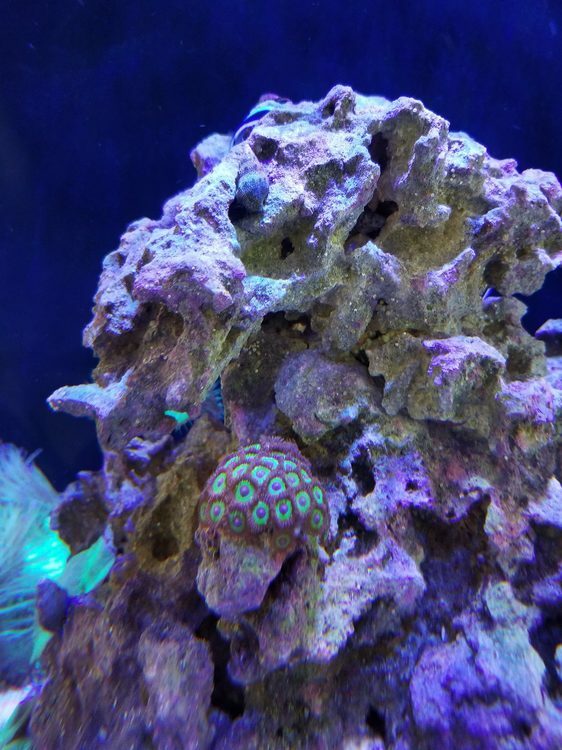 After about 5 weeks without Life I added my clown and cleaner shrimp from my fish only nano along with about 9 lbs of the live rock that was in there and purchased my 2 first ever corals. 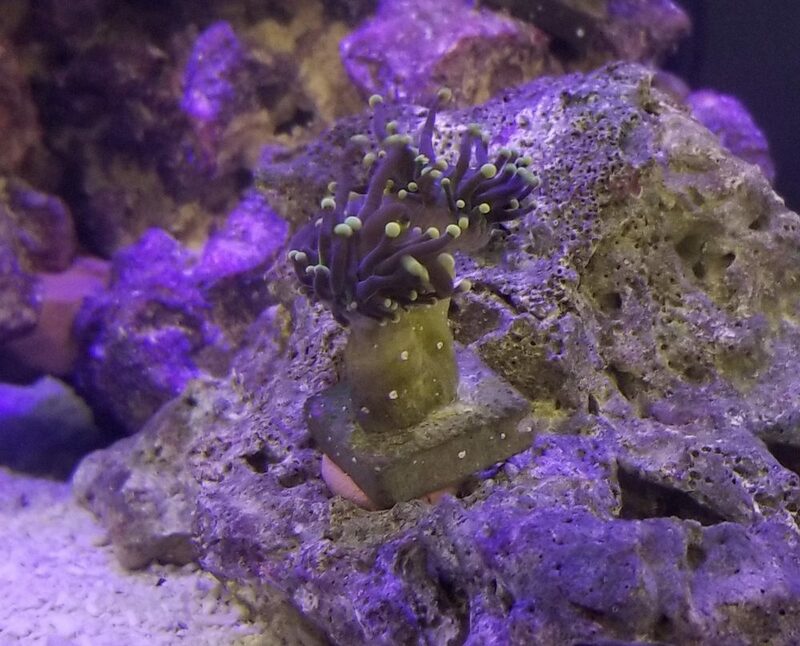 Already seeing the Coraline spreading nicely on the new live rock. 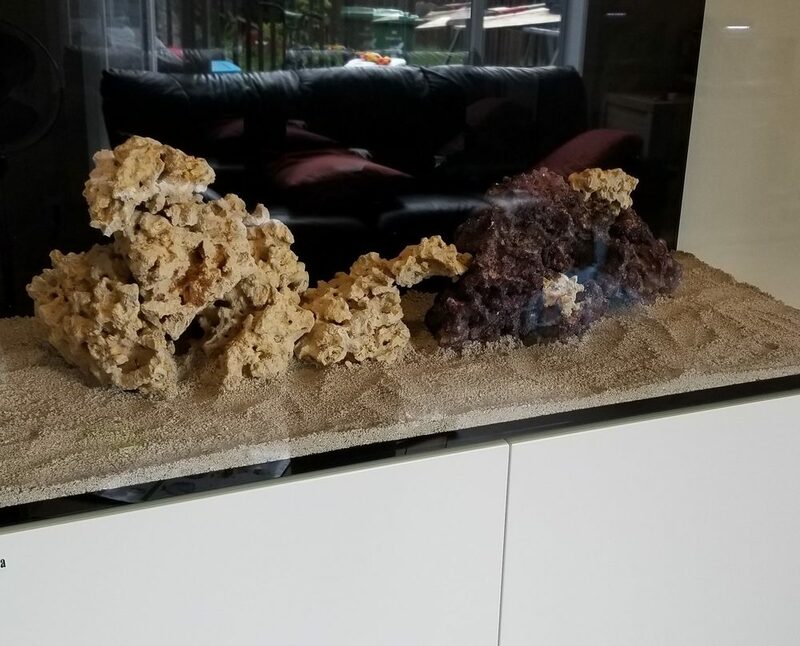 Using the coral pro salt. First mistake! 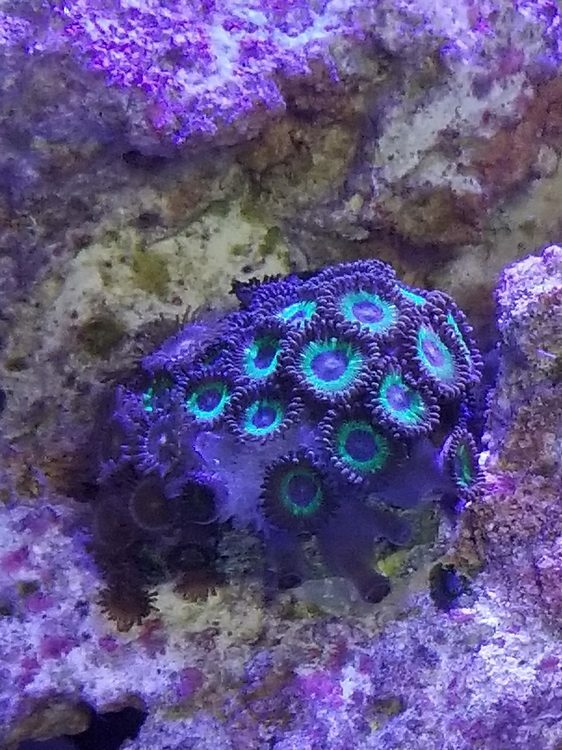 I bought a couple zoa frags and a coral beauty angel, 3 large Bangai cardinals, and 8 Blue/green chromis from a small lfs by my work. The prices where super cheap compared to the higher end fish stores in my area. 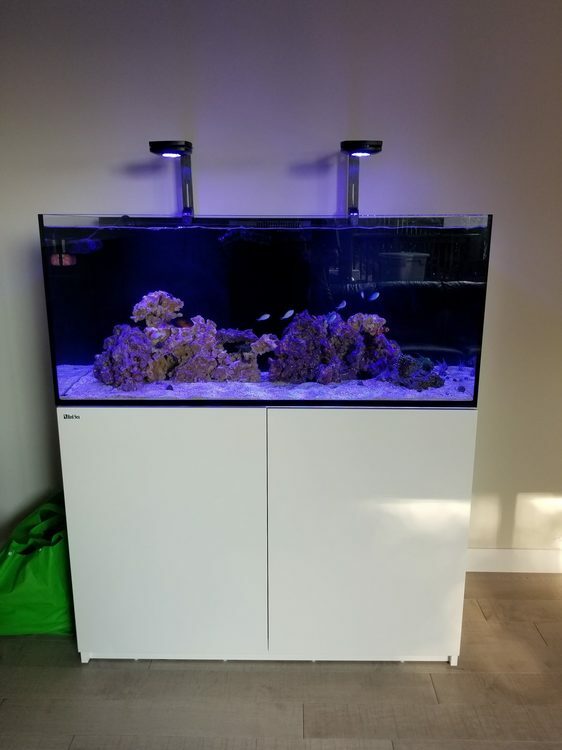 There tanks where dirty and looked neglected so my thought was to save these fish and corals and take them home and throw them into my nice new clean reef. What could possible go wrong? 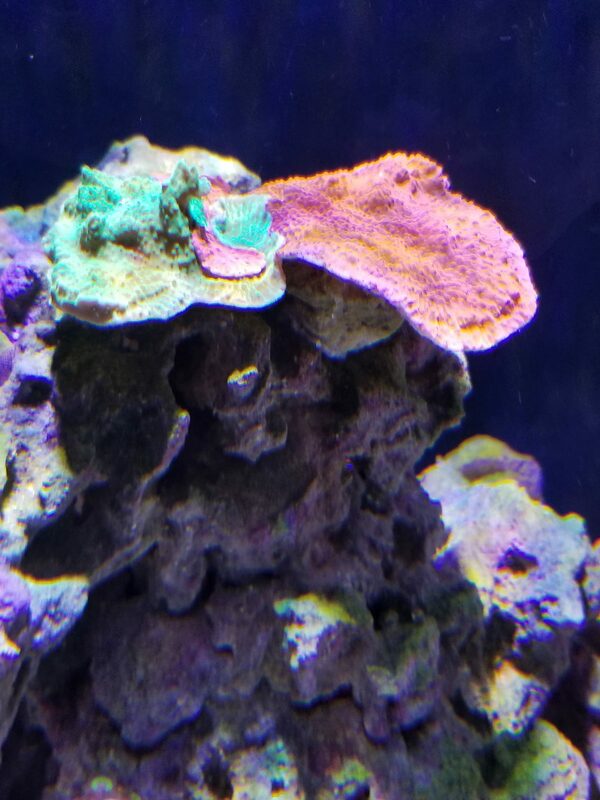 Next from my preferred LFS I added to the reef a Hammer frag and a Australian Elegance. 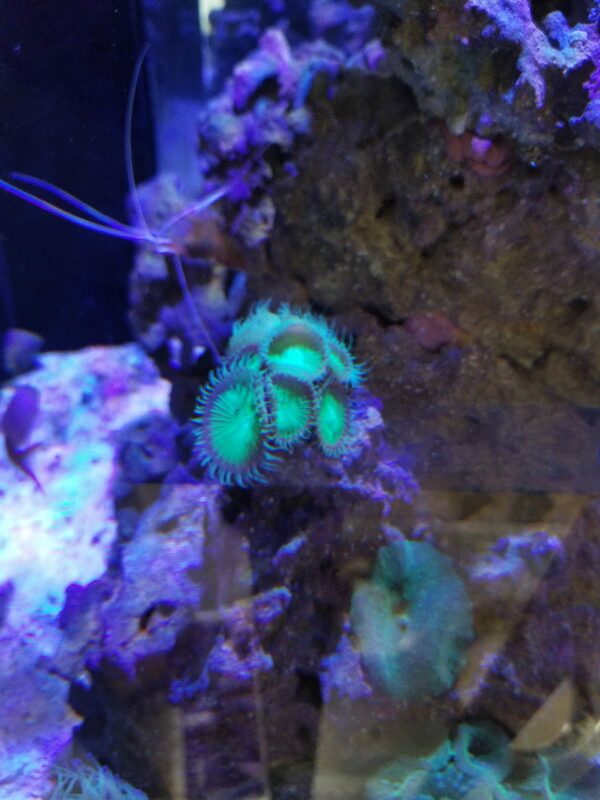 I notices that one of my Zoa Frags had some white fuzz growing from the base of the coral. 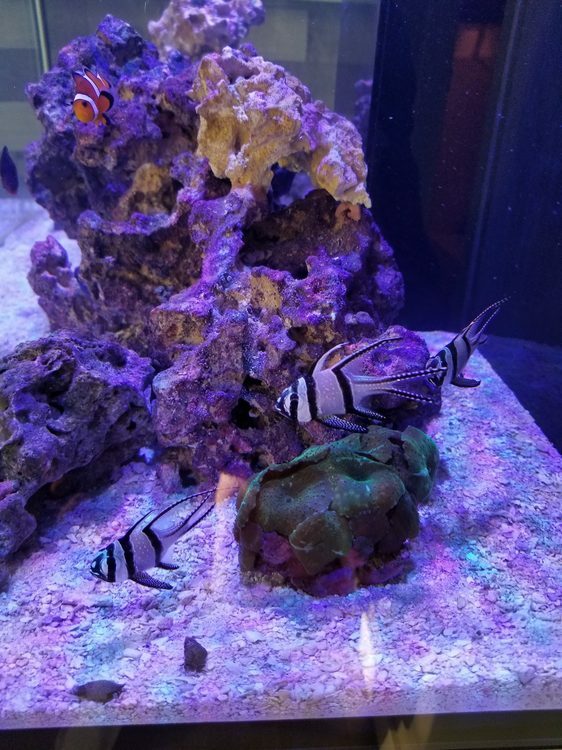 At this point everything seems healthy but the cardinals not really eating unless food drops right in front of there face and have 0 motivation to move about the tank and the 3 of them just hanging out in the back corner. So at that stage just after the diatoms started to reside I lost the bangai's the coral beauty my clown and 5 of the chromis over about a 4 week period (november 2018). 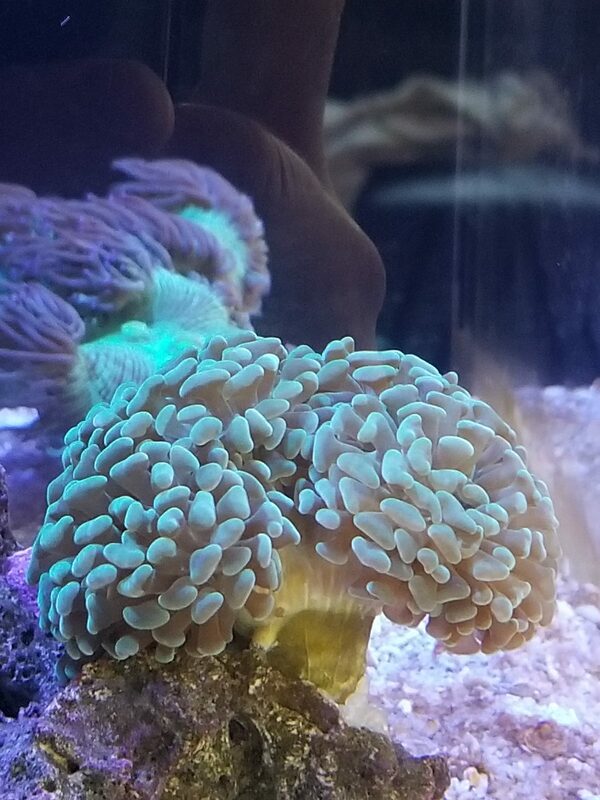 I only noticed a couple white dots on the coral beauty and then the clown. 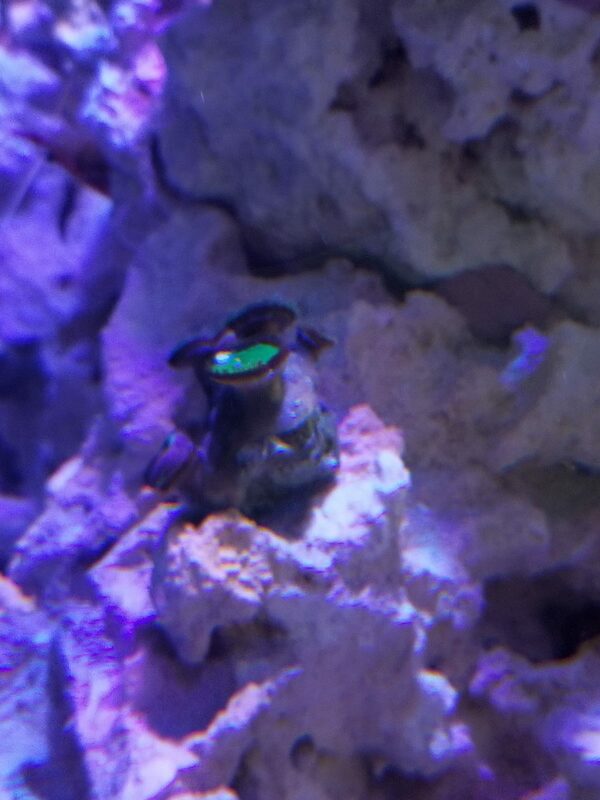 Not sure if the ick came from the fish I bought from the shady lfs or the zoas. 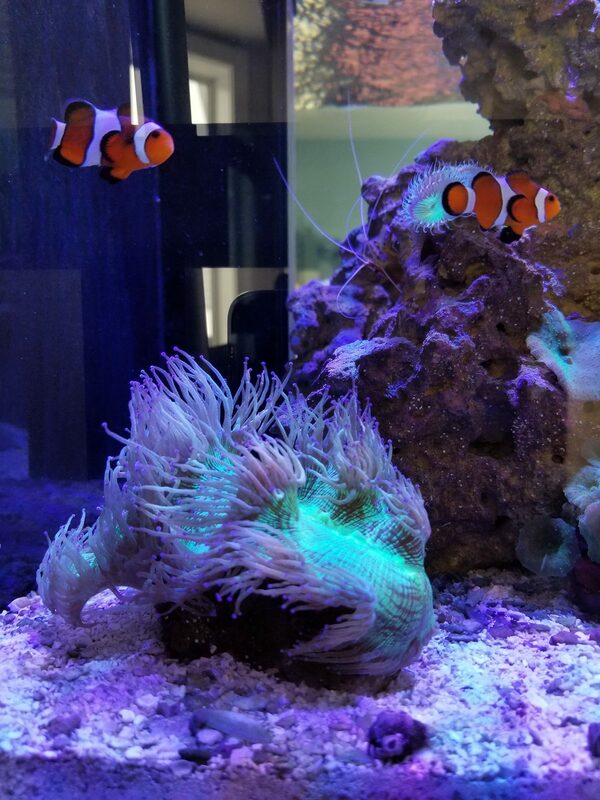 I moved the 3 remaining chromis in my nano that I set up as a temporary hospital tank and treated them with a bit of copper. 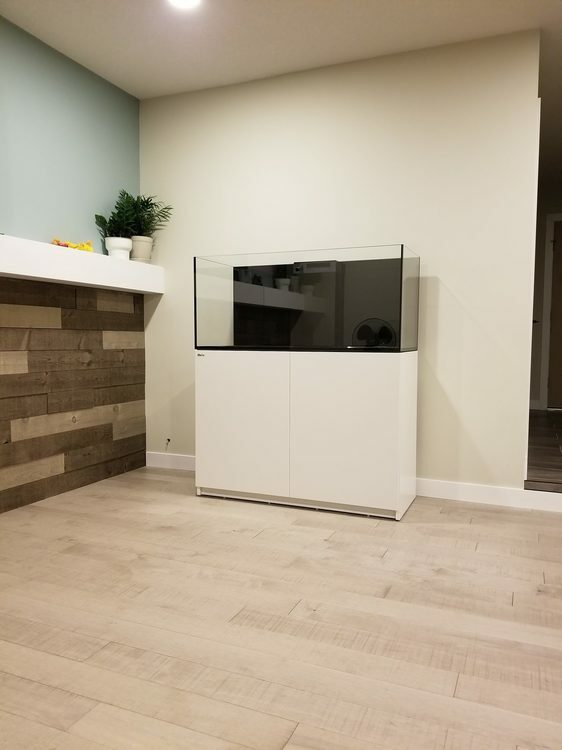 I thought I would take this opportunity to move my tank to the other side of my room which is where I wanted it to begin with but was trying to accommodate the mrs. 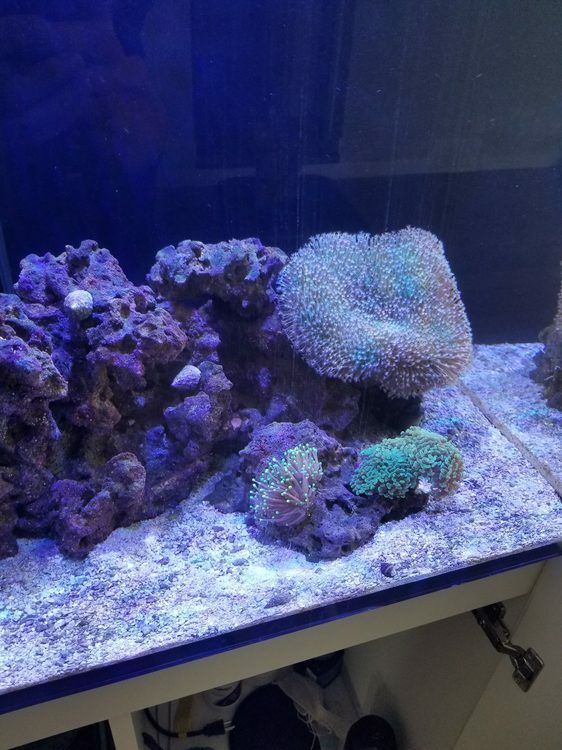 I also received some bad advice from my LFS to switch from coral pro salt to H2oceans salt mix as she claimed it was the same salt at half the price. From there I purchased a dual stage DI unit to go with my RO system, started testing every other day and dosing manually weekly, added a fishies phosban reactor running Rowa, added filter floss above the micro bubble filter in the sump changing every 3 days and started swapping the filter socks every other day. 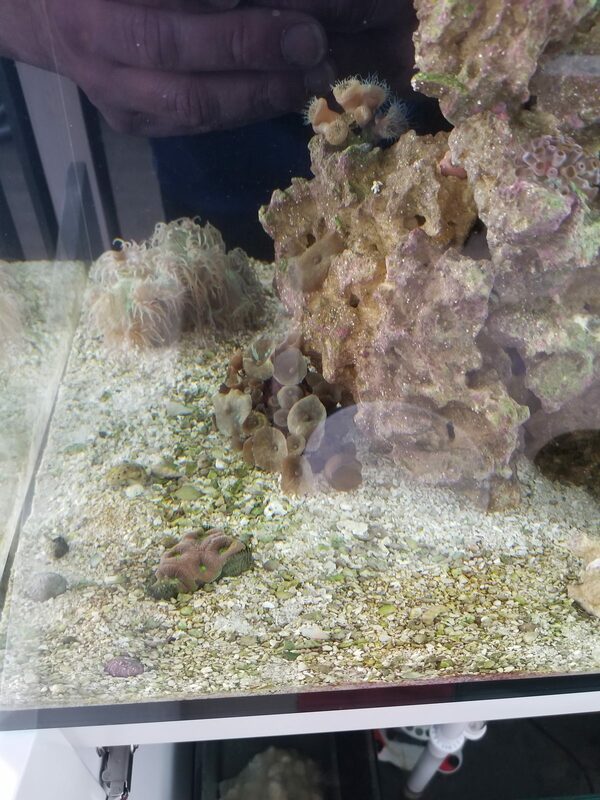 My preferred LFS started a quarantine tank for me in there store and as i picked out fish they where put into this tank for me for 4 to 5 weeks. 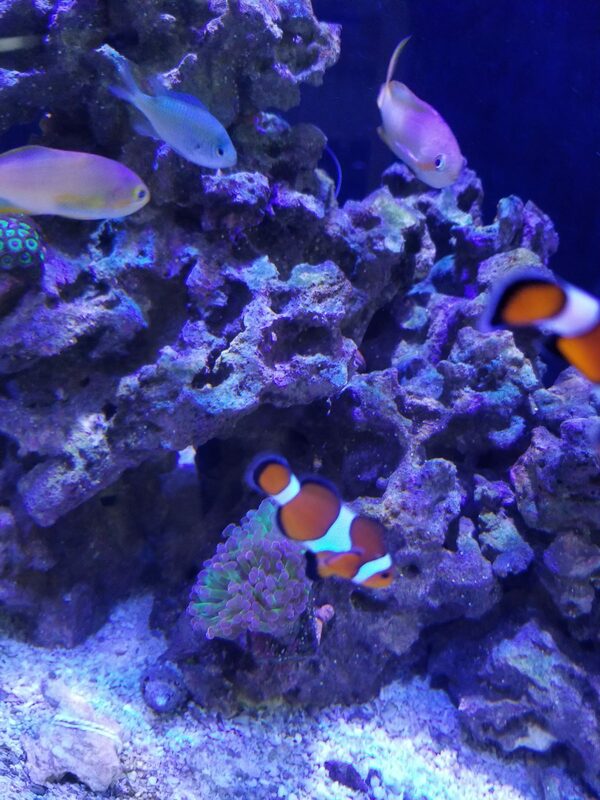 Once I got my water stable and the tank back on track I began stocking some of my new fish. 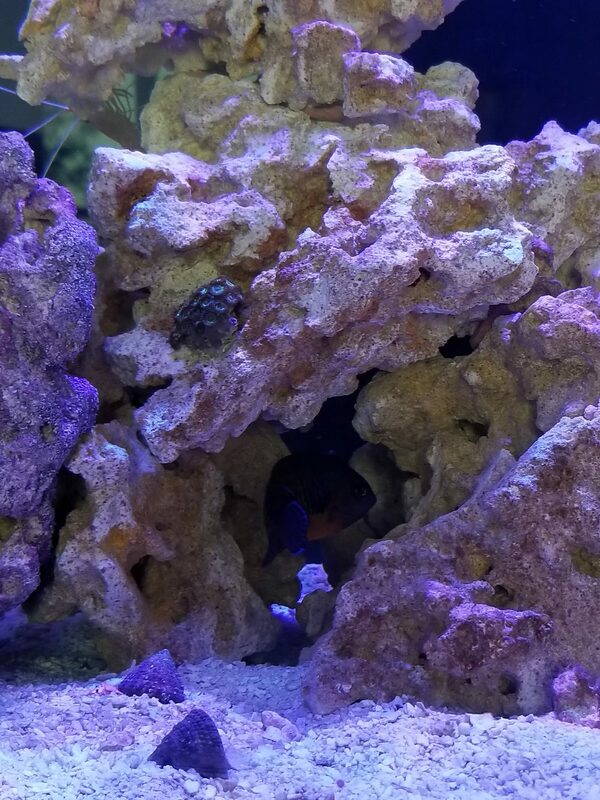 I loved the coral Beauty so had to get another 2 ocellaris clowns 2 lyretail anthias 1 cleaner wrasse a diamond goby and a royal grama. 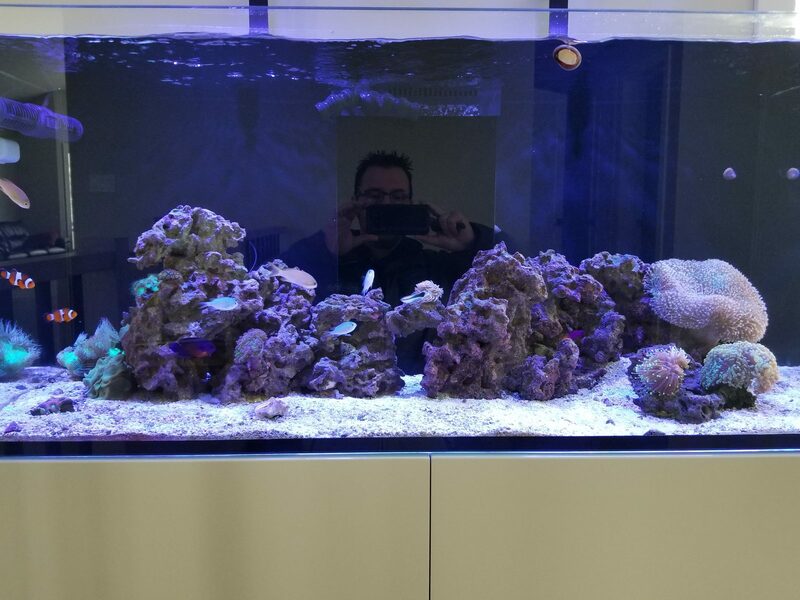 I added 1-2 fish a week and so far the tank is happy and noticing coral growth and stable water conditions. 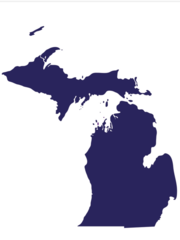 Can you mix kalkwasser and add directly to the ato on the reefer systems? So I have read that you can, but it can precipitate out and clog the gravity fed line. Glad i found your thread! Things look good! 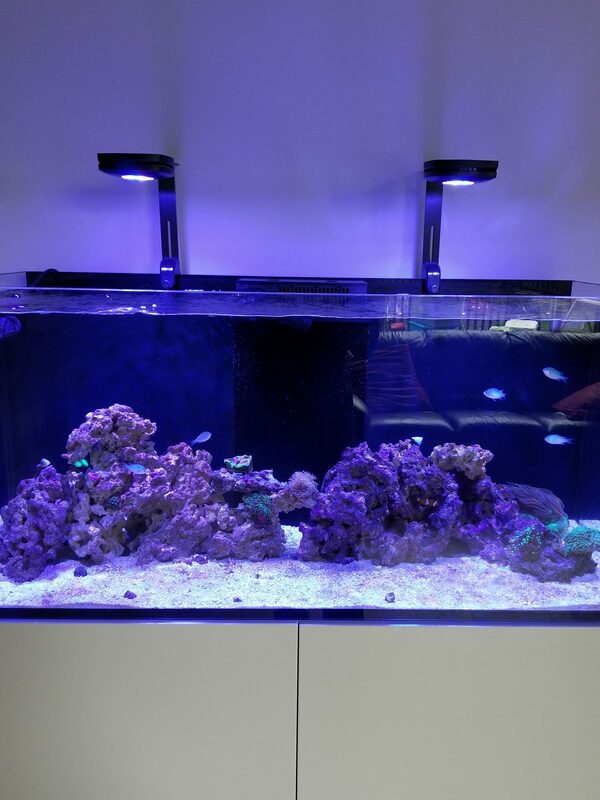 How's your cleaner wrasse doing? Been thinking about getting one. Last one i got died within a week and I read they hard to get eating frozen. Thank you, means a lot to me. 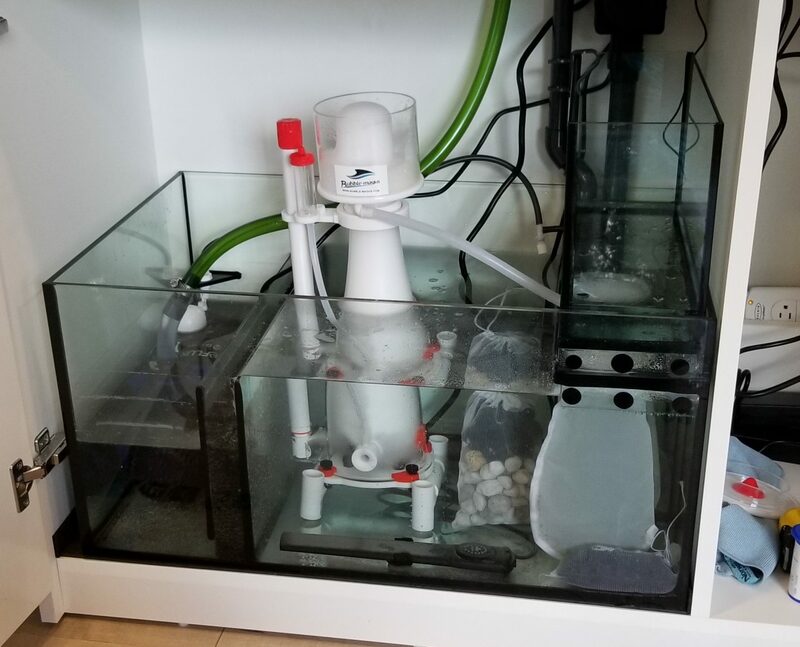 Like I said before it was your thread that got me totally hooked in this hobbie and I absolutely love it more each day, working on the tank and researching daly. 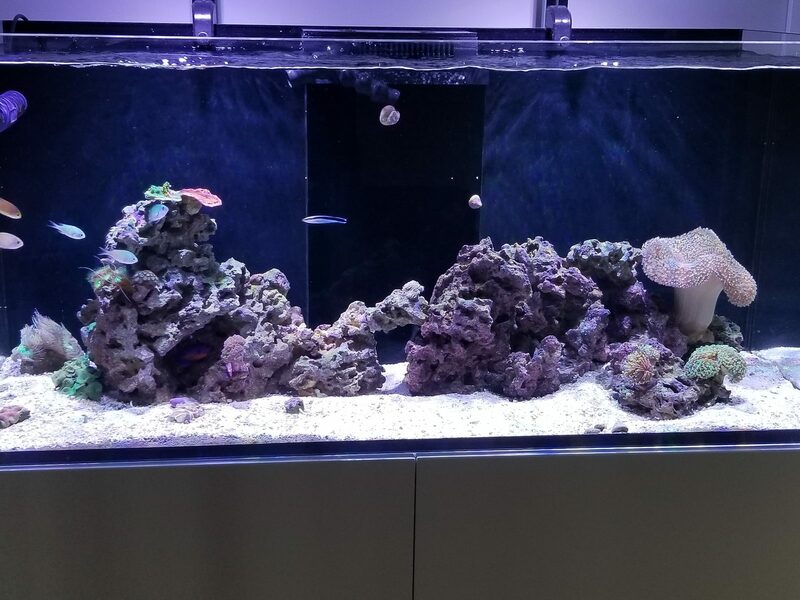 Even when my tank needs no maintenance i find myself just starring at it for hours over the tv show i am attempting to watch lol. 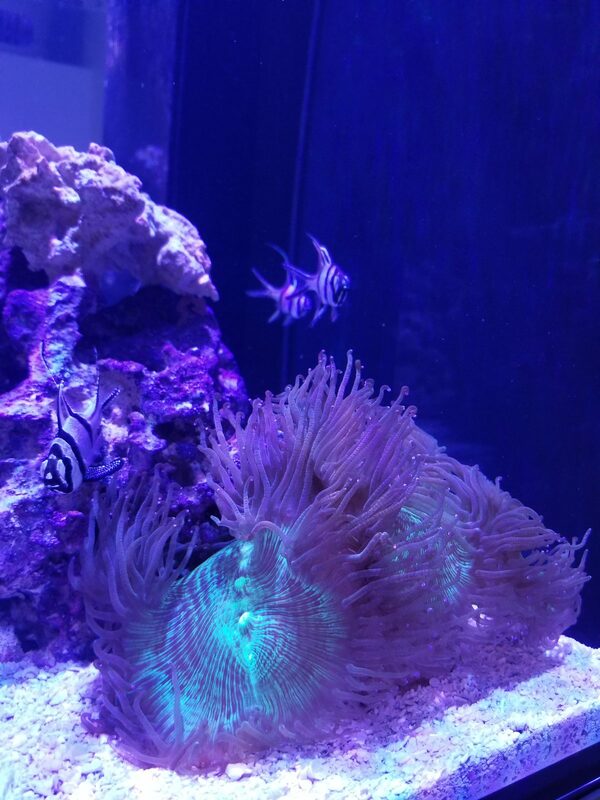 My cleaner wrasse is amazing. 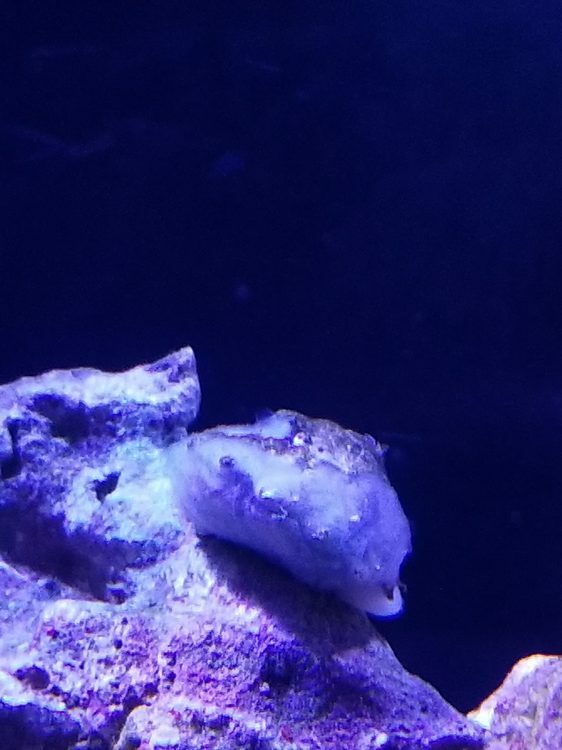 He has been in my tank for 3 months. Eats everything I put in. I got him as a gift from my LFS because I helped one of the employes out with there home reno. I only stumbled across that they are not a beginner fish recently which surprised me as mine has been super easy to care for. He is very active and anytime I need to put my hand in the tank he loves checking me over to make sure i am clean haha. Like every fish I have introduced to my tank the second go around they hid for 2 days and then start eating like pigs. 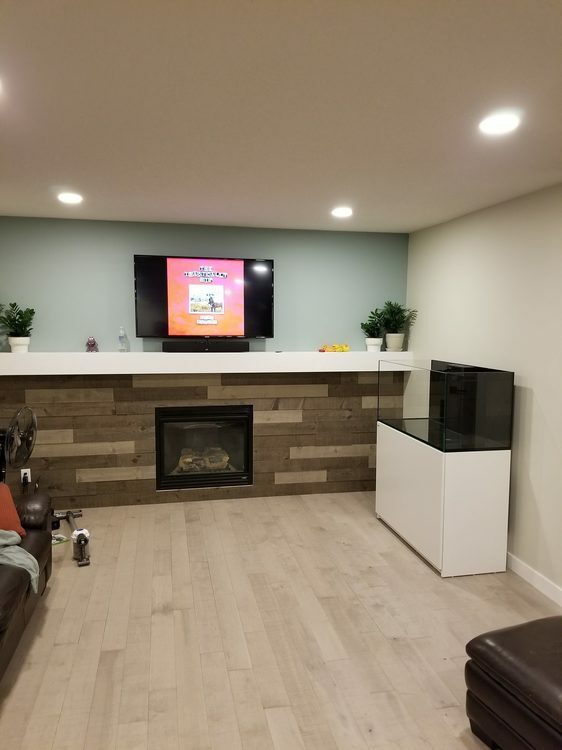 I want to add space to my sump. I was thinking of adding a block of marine pure and removing the live rock. I imagine that the marine pure needs time to cure? 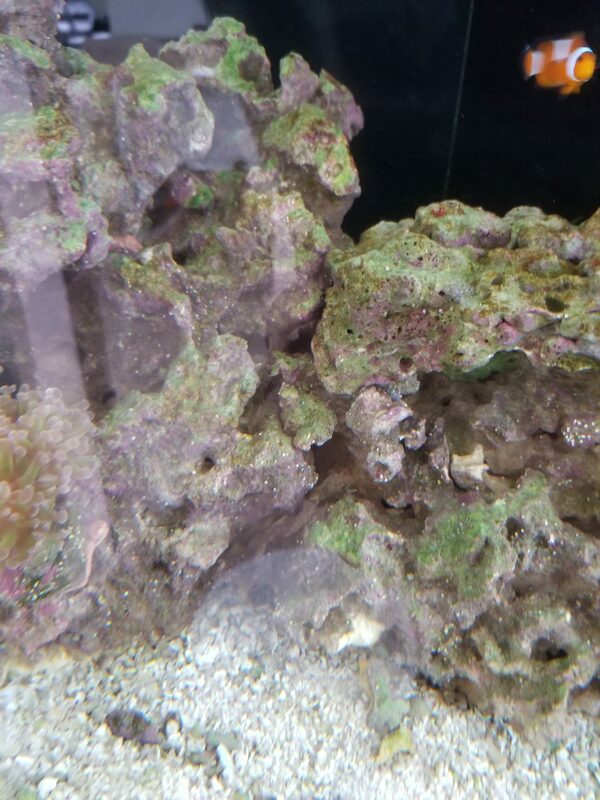 So if I add a block should I remove little amounts on the live rock over 2 months? 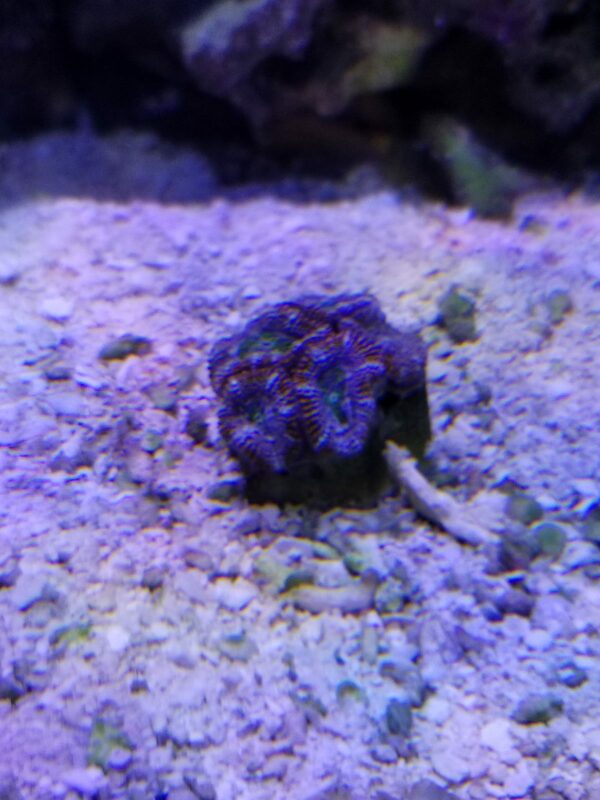 Is there a chance the tank would start a mini cycle? 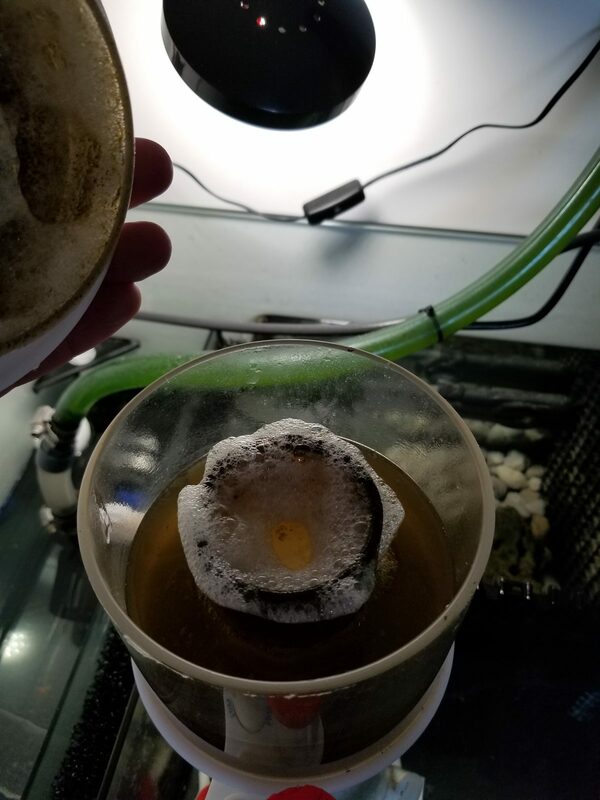 Also I have filter bags of pond matrix and have notice a copepod population in and around them so I was planning on leaving them for a while. 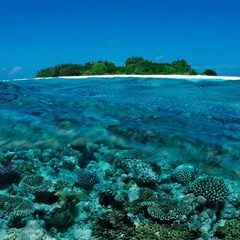 After the marine block cures will it sustain a copepod population? Thank you, means a lot to me. Like I said before it was your thread that got me totally hooked in this hobbie and I absolutely love it more each day, working on the tank and researching daly. 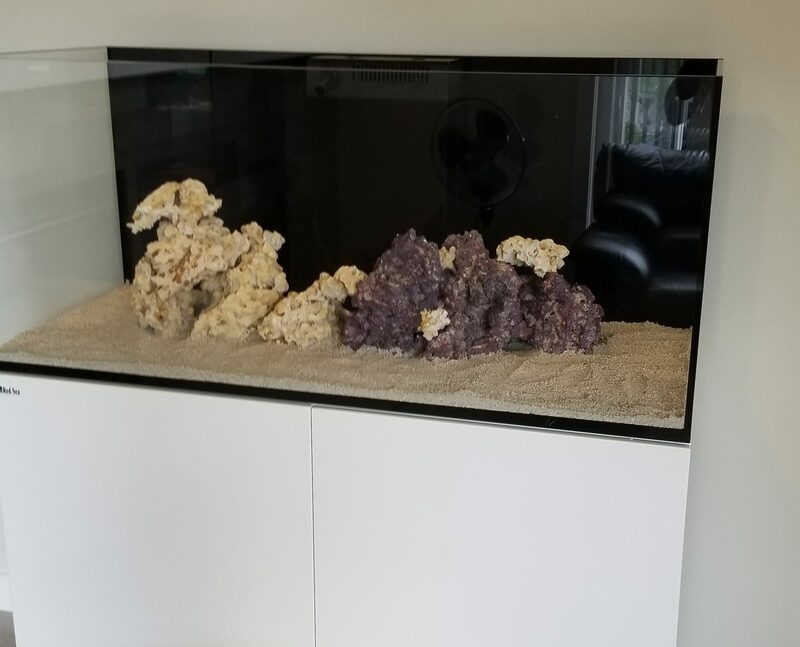 Even when my tank needs no maintenance i find myself just starring at it for hours over the tv show i am attempting to watch lol. 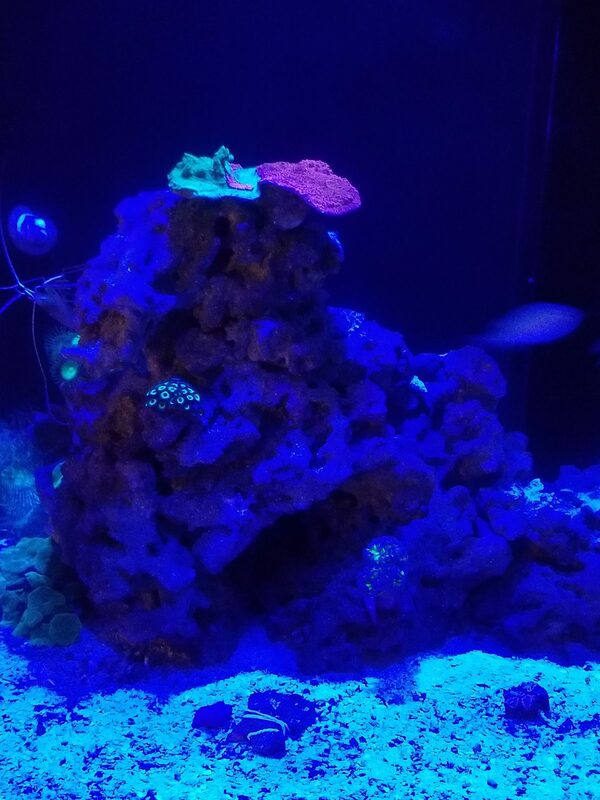 My cleaner wrasse is amazing. 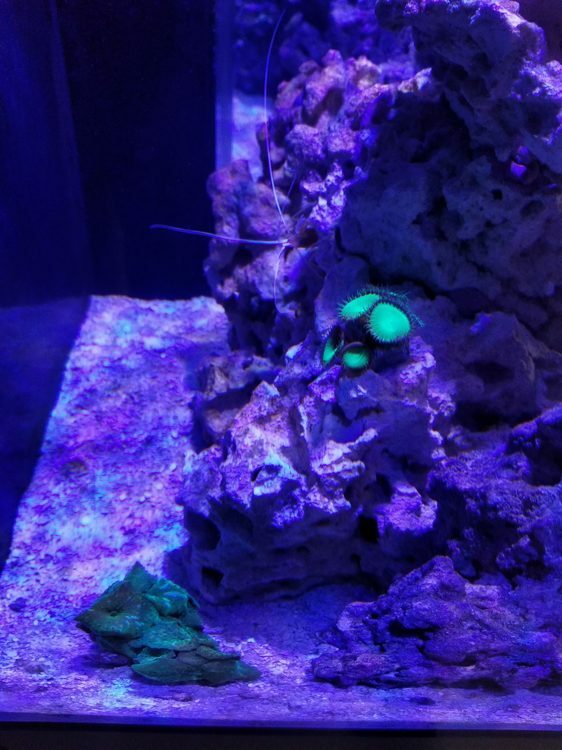 He has been in my tank for 3 m﻿onths. Eats everything I put in. 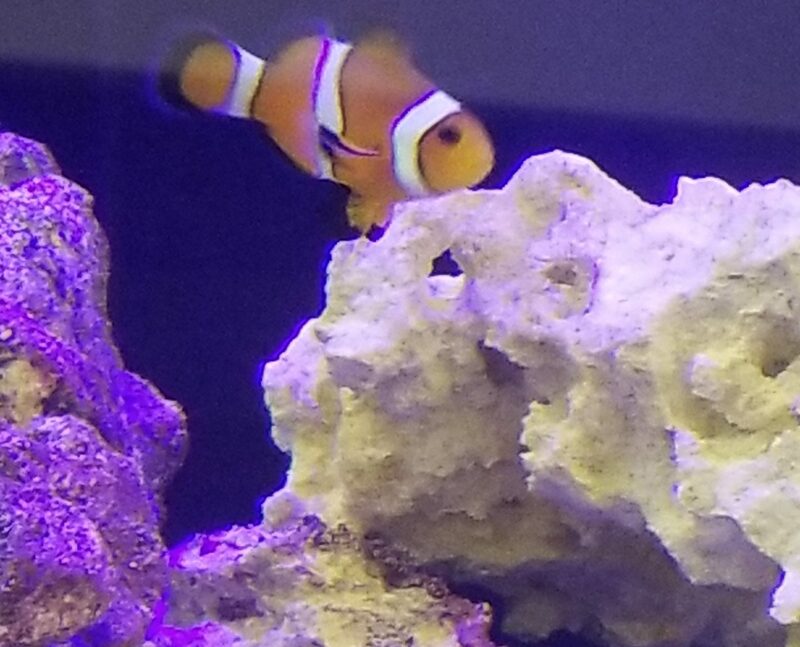 I got him as a gift from my LFS because I helped one of the employes out with there home reno. I only stumbled across that they are not a beginner fish recent﻿ly which surprised me as mine has been super easy to care for. He is very active and anytime I need to put my hand in the tank he loves checking me over to make sure i am clean haha. Like ever﻿y fish I have introduced to my tank the second go around they hid for 2 days and then start eating like pigs. 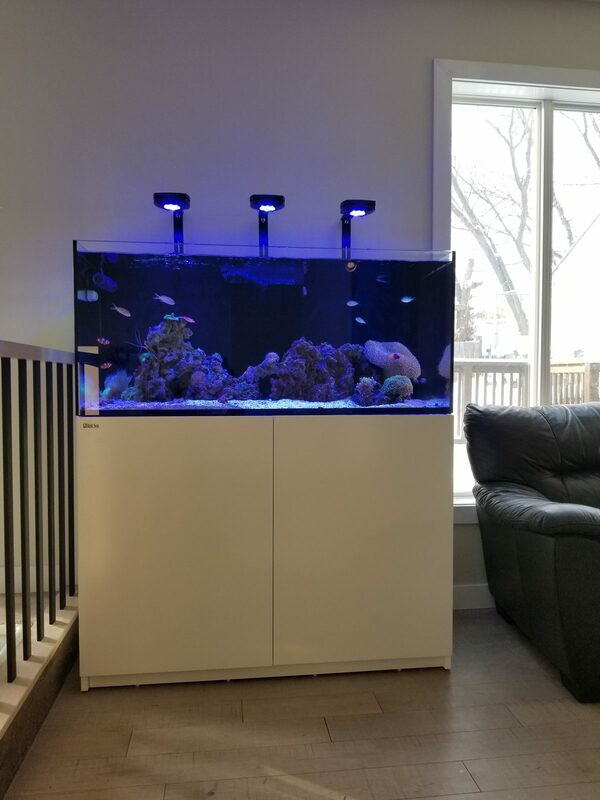 I stare at my sump more than the display...lol. I dont even know why. 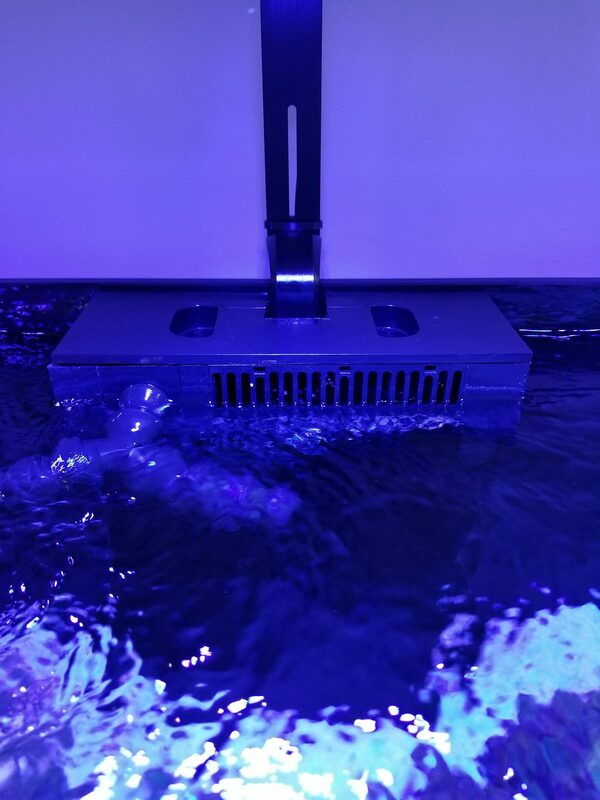 Something about the water passing through the filtration system calms me. I also stare at the chaeto and pods and little critters. My LFS had a cleaner wrasse for $10 over the weekend. Was so tempted to pick it up but I just got a yellow tang the same day from another LFS and don't want to add fish from two different LFS at the same time. 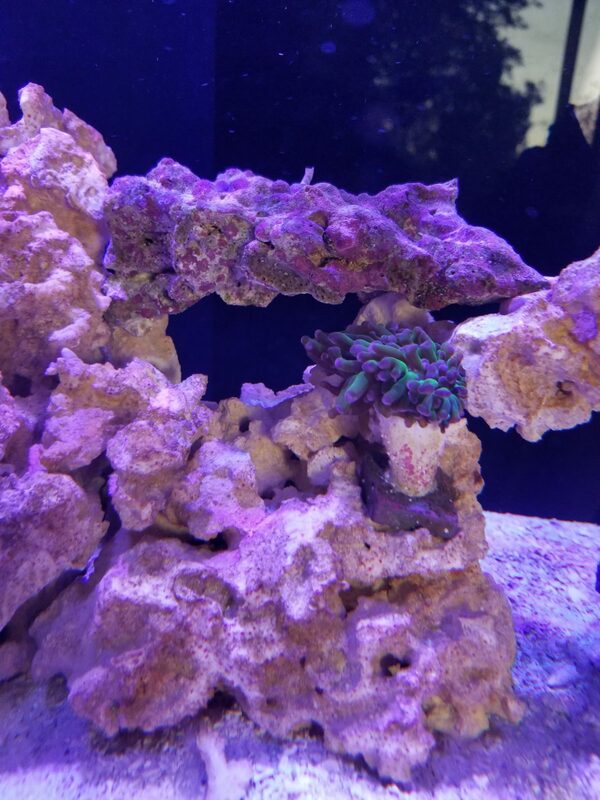 If they have a sale again in a few weeks, I will definitely try another cleaner wrasse. 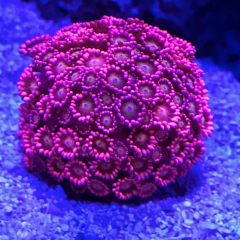 I did not cure my marinepure biomedia. Just dumped into the sump. now I just need to learn how to take decent pictures! 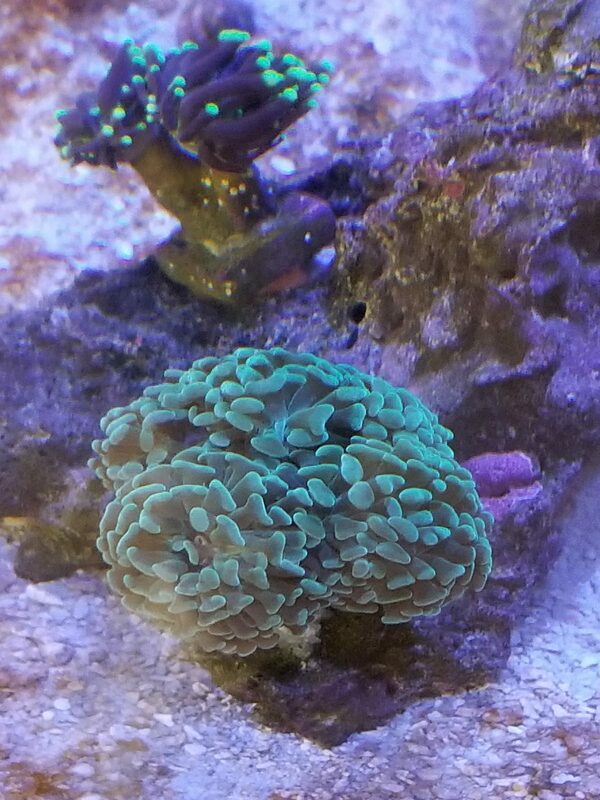 Picked up another AI Prime tonight. Ai jacked the prices up on them? Bought the first 2 for $249.99 today they tried to charge me $385 I told them I will just order 1 online and the manager dropped it to $289. I see a major drop in prime sales if they try and charge that much. 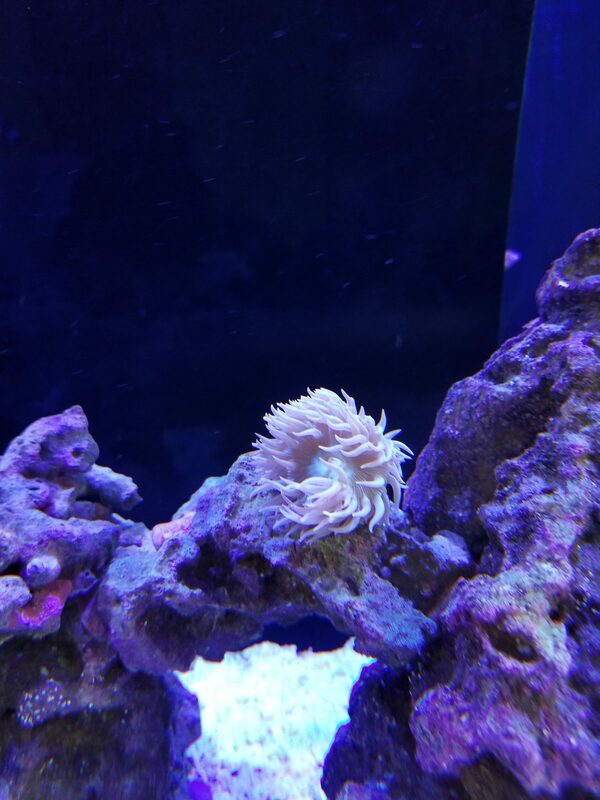 Next items on the tank list. 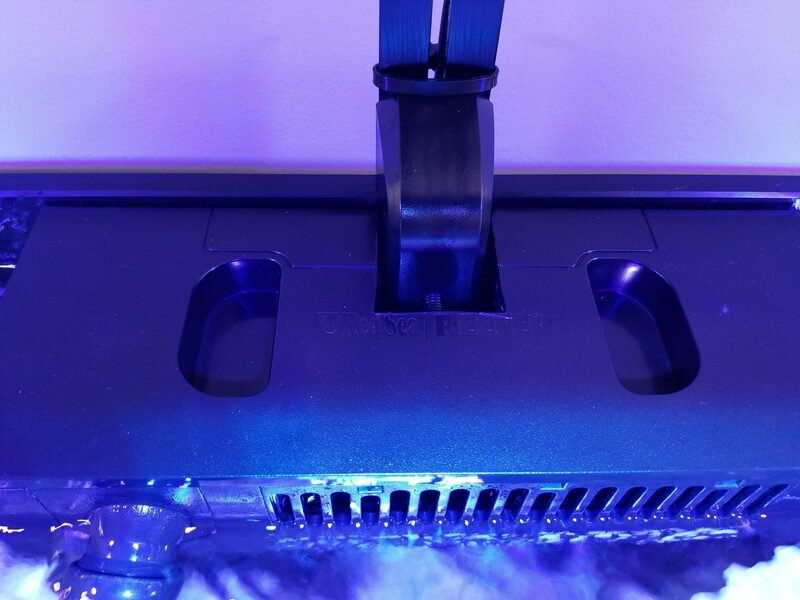 Apex Neptune and DOS. A manifold and ATO so I can transform the stock ATO to a fuge. Great thread. 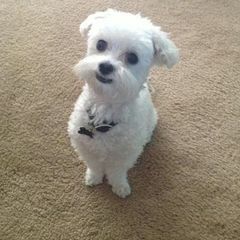 Love all the pics. I’m a few months behind you (just started my cycle), so I’m following with interest. Installed the 3rd prime. I notched out the overflow cover by putting some painters tape over it and marking with a pencil. Then I scored the top with a ofla knife. Then I removed the tape and heated the cover with a heat gun. After the cover got hot I used the knife to cut through the plastic. Unfortunately I forgot to take the thickness of the glass into account so I over cut by 1/2 inch. Are you liking the light spread better with the 3 Primes?